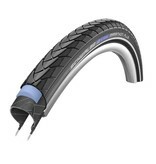 Home / Schwalbe Marathon Plus Tyre 26" x 1.75"
Schwalbe Marathon Plus Tyre 26" x 1.75". The ultimate commuting and touring tyre. The most puncture resistant pneumatic tyre there is. 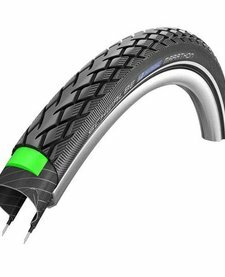 Incredible puncture protection, due to the Smart Guard layer. 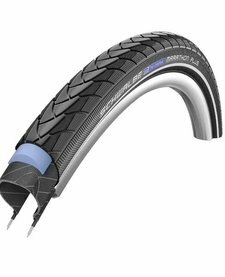 The tyre uses recycled products - Old products made of natural rubber (such as gloves, tubes...) are crumbed and, over several procedural steps, used as base material in the puncture protection system. E-bike ready, and certified up to 25 Kph.